The seat wedge encourages straight sitting at any age. Sitting on a forward sloping surface straightens the back automatically. 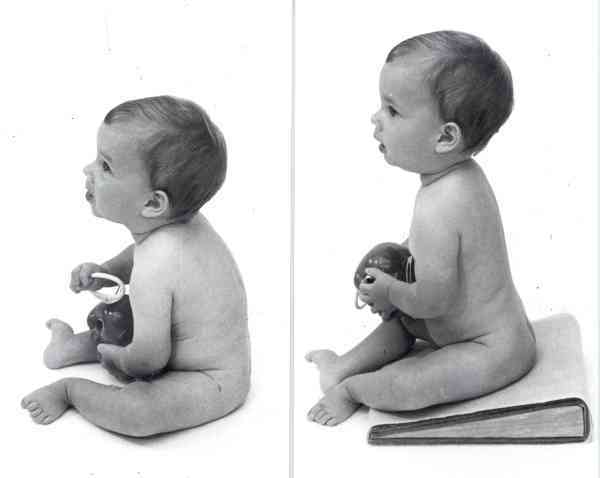 A wedge can be added to any safe chair, such as a high chair or an enclosed seat.